Deleting your email address will erase any email that's still in the inbox. 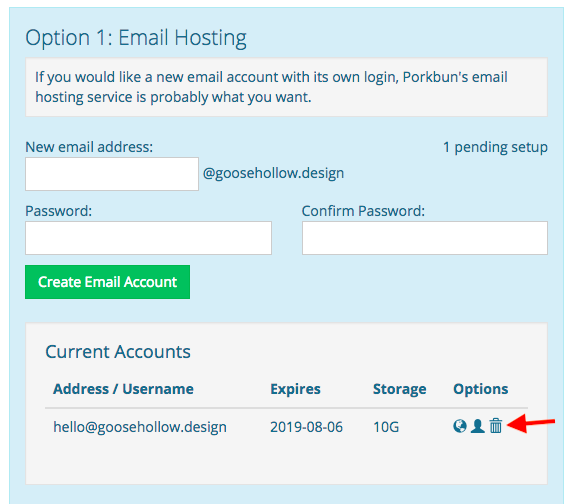 You may want to click the globe icon next to your email address first to log into webmail and make sure the mailbox is empty before you delete it. On the popup box that appears, click "OK."